The All Progressives Congress (APC) has said its defeat in the March 9 governorship elections in Imo and Oyo States was largely due to the people’s disenchantment in the performance of the governors. The party’s position came just as its governorship candidate in Imo State, Senator Hope Uzodinma, petitioned the state governorship Election Petition Tribunal, asking it to nullify the declaration of the candidate of the Peoples Democratic Party (PDP), Emeka Ihedioha, as the winner of the election by the Independent National Electoral Commission (INEC). 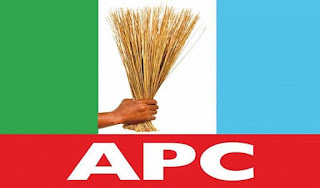 The National Publicity Secretary of the APC, Mallam Lanre Isa-Onilu, in an interview with journalists at the weekend, said the party had ensured a level playground for people to face the electorate and for the electorate to pass judgement on the candidate put forward for elections. Speaking with particular reference to the losses suffered by the APC in Imo and Oyo States, Onilu said the party lost due to its principled stand that impunity must no longer reign. “You could see that we lost the presidential election in Oyo and Ondo State where we have sitting governors. “But because we didn’t want to condone impunity, we did all we did in Imo State in a way to undermine ourselves, and the choice we had was to accept what would have amounted to the impunity so that we could win Imo State, but we said no, we would rather do what is decent,” he said. While assessing the performance of APC in the last general election, Onilu said contrary to expectations that the party would mobilise all the resources of coercion at its disposal to ensure victory for its candidates, the reverse was the case as everyone was allowed to face the electorate without hindrance. He also talked about the slim margin loss the party suffered in the hands of the main opposition party, the Peoples Democratic Party (PDP) in Sokoto State as well as the defeat of its candidates in other states, saying APC should be commended for not deploying incumbency to its advantage. According to him, “But the important thing to note is that, being a journalist myself, I began to ask what has happened to us “The media should also report that a ruling party that is supposed to mobilise all the resources of coercion to get what you want, but didn’t do that, and you have now reported that we lost some major states. Onilu said what happened in Rivers State, where APC was excluded from the election would have been different if it were during the time PDP was in power at the centre. He said Rivers State would have been locked down for the PDP to have its way. “We have witnessed it in this country during PDP reign that a state would be locked down. Their own method is ‘win by all means, let others go to tribunal’. We didn’t apply such principle,” said Onilu. The APC spokesman further said the 2019 general election has recorded impressive milestones that should be commended. According to Onilu, the last election has seen major politicians in this country losing elections even in APC. He said: “You saw a serving governor in Oyo State who couldn’t win one-third of the state to get to the Senate. In a statement made available to THISDAY yesterday by Uzodinma, the petition alleged that the INEC fraudulently excluded votes for the APC at the polling units across the state which gave the PDP candidate advantage, adding however that after tabulating the valid votes at the polling units, the APC candidate defeated the PDP candidate with a large margin. The petition opined that “it was at the course of collation of the results at the ward, local government and state levels, that the third respondent (INEC) incorrectly stated the votes of the first respondent (Ihedioha) and thus reduced the votes of the petitioners by excluding the results from the polling units where the petitioners scored overwhelming majority of the votes cast.